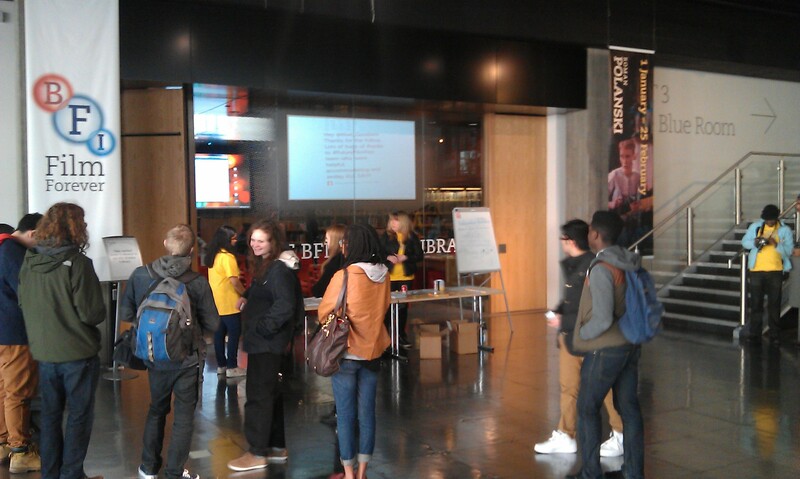 It’s day 2 of the 6th annual BFI Future Film Festival, and the focus of today’s sessions and activities is animation. The day kicked off with a host of events at 12pm, including a screening of Sam Fell’s cracking animation Paranorman (followed by a director Q&A); a talk by Nic Benns, Emmy award-winning design director and co-founder of title company MOMOCO; and a selection animated highlights from Random Acts, Channel 4’s late night three-minute film slot, commissioned by Lupus Films and curated by ace animator Chris Shepherd. There’s a whole bunch of stuff still to come, including a programme of BAFTA animated shorts, ident, VFX, voiceover and sound masterclasses, networking tips, script sessions with Script Factory, and the Future Film Animation awards. And me? I’m blogging from the foyer, and I’ll be here until 5pm to take questions and chat about all aspects of film journalism, from setting up and maintaining a blog, to trying to get your name on press lists so you can invited to preview screenings! The final day of the festival is tomorrow, and focuses on Documentary filmmaking. It’s pretty much sold-out, but keep an eye on returns, and of course it’s free to come and chat to us, or FilmClub UK (the friendly folk who are sat next to me) in the foyer. This entry was posted in Bits and pieces and tagged 15-25, animation, BFI Future Film Festival, BFI Southbank, film, filmclub, Foyer, london, Paranorman on February 17, 2013 by Ashley Clark.